This was Charleroi airport on the morning of 28 September. Cancelled flights and workers who were unable to freely exercise their right to strike. 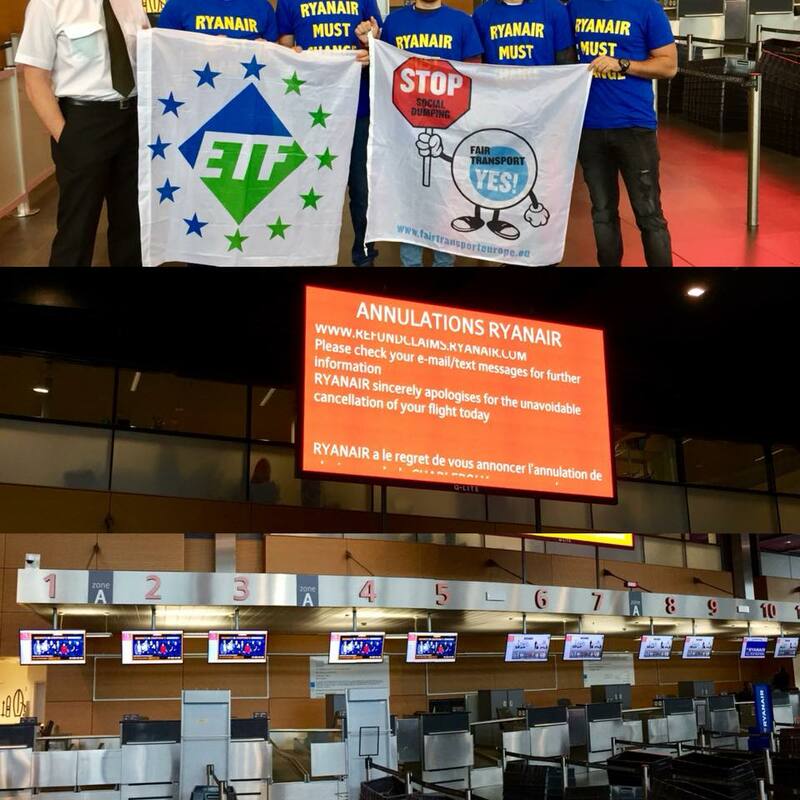 Ryanair pilots and cabin crew based in Belgium, Germany, Italy, the Netherlands, Portugal and Spain were striking for 24 hours in response to the company’s continued failure to deliver a fair deal for its workers. The Fair Transport campaign supports lawful industrial action undertaken by transport unions with the aim of winning a fair deal for Ryanair workers.